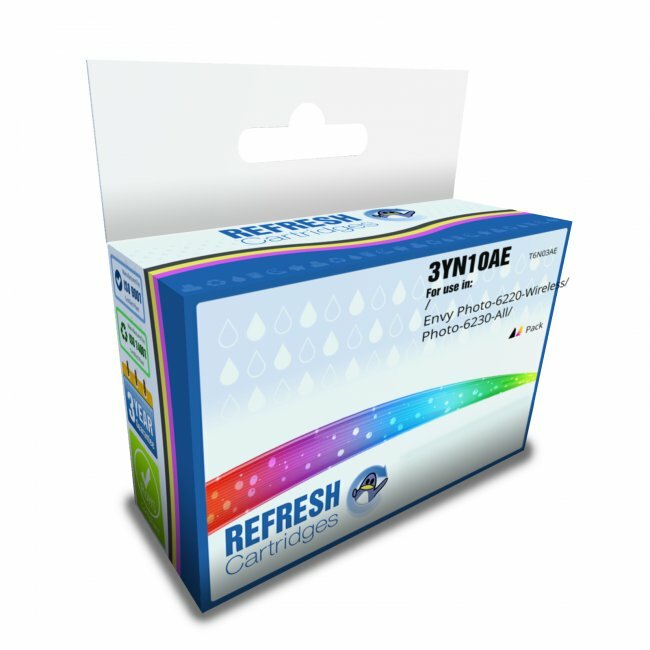 Containing one each of our recycled HP 303XL black and tri-colour ink cartridges, this multipack is great for everyday printing with a low cost per page. Each of the HP 303XL ink cartridges within this 3YN10AE multipack is packed with compatible ink that is guaranteed to give you superior results. 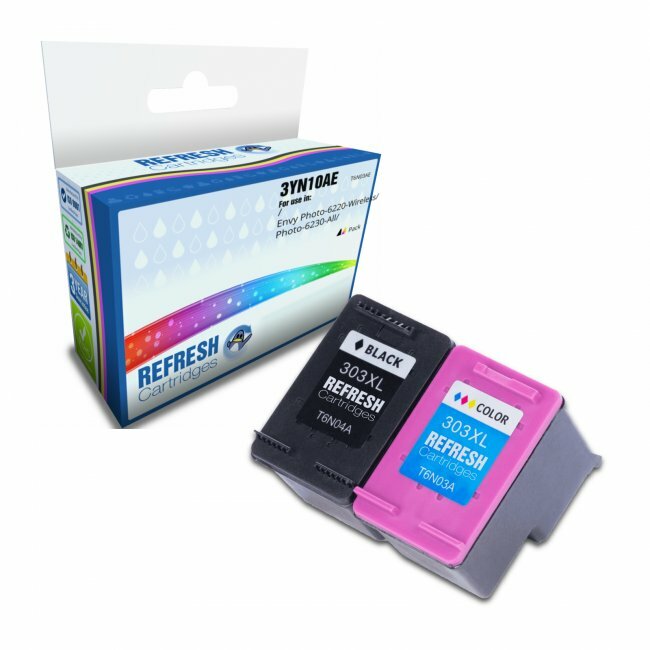 Our remanufactured version of the HP 303XL ink cartridge multipack offers you a much lower cost per page than the original and remains compatible with all of the same printers. This remanufactured Hewlett Packard 3YN10AE also retains the same estimated page yields of the original high capacity cartridges meaning you seldom have to replace them. 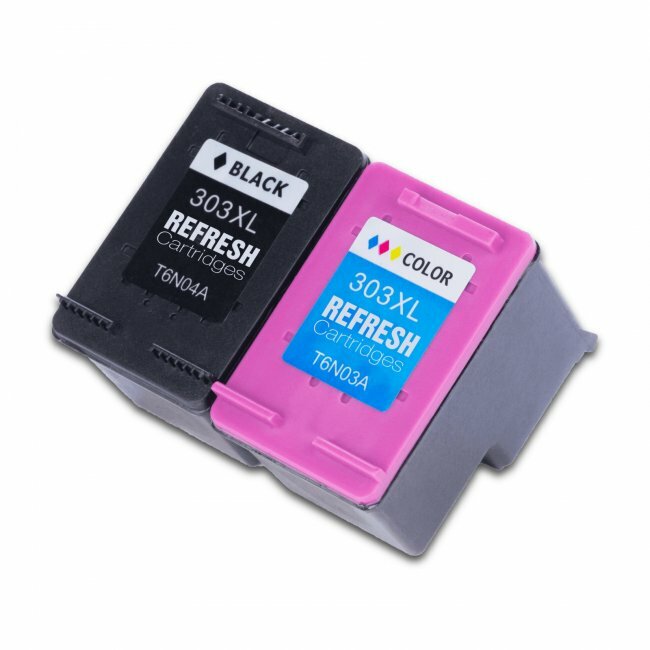 The only real difference that comes from this remanufactured HP 303XL multipack is that it contains compatible dye based inks that differs from a genuine Hewlett Packard cartridges. 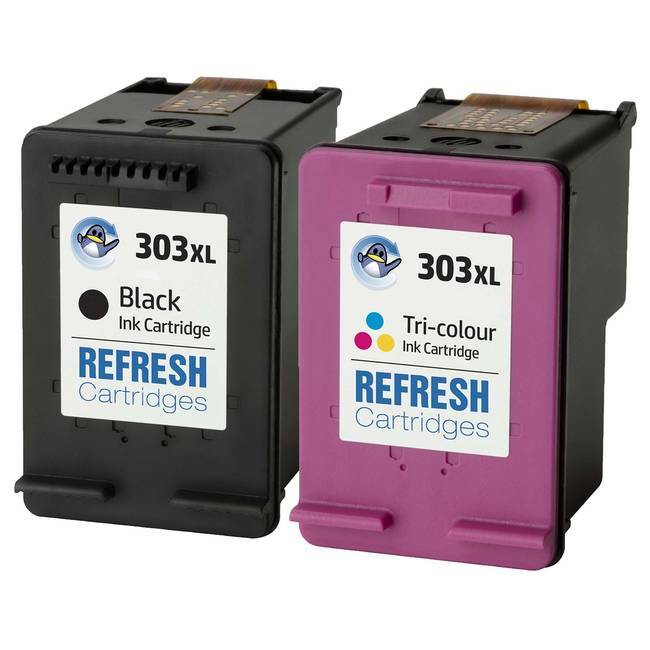 Fear not, these refilled HP 303XL black and colour ink cartridges have been fully tested to offer a comparable quality of print and comes with our own 100% satisfaction guarantee.